I have been using megasporebiotic for a month on myself as a practitioner because sharing it with my patients. Amazing results within 2 weeks and great pooping factor & good energy level (my best description…) after a month. I have 10 of my patients on it at the moment and my youngest a 3 years old girl with history of allergies and eczema, all cleared out. I love this product and the trio of gut healing products from this company. I was able to knock out a C. Diff infection and have seen dramatic health gains in my clients from using many of the products from this company. Poop so pretty I want to take a picture!! I’ve had Crohn’s (6 years) and IBS/SIBO for over 30 years. I’ve lived with constipation or diarrhea, along with pain, but since starting MegaSpore and Mega IgG2000, my stools are so beautiful, I look at them with admiration! ha ha ha! I eat gluten/dairy mostly sugar free already, no processed foods and I am also getting LDI shots and take LDN. All these helped somewhat, but when I added MegaSpore my healing ramped up exponentially. I will be adding MegaPrebiotic slowly beginning next week, so I am not finished the Gut Healing Protocol yet, but I am well on my way. This product is the REAL DEAL, and I am so grateful its available. Thanks for your research and making a product that really does what it claims! In May of 2016, I had rash on my leg, by October of 2016 I had rash everywhere and the change in my body impacted my thermostat. I was so cold that I couldn’t leave the house as I sat under 3-4 blankets in order to stay warm. And this was in Florida!!!!!! I cleaned up my diet, eating raw food and juicing, but it wasn’t working. The rash was just like sunburn and it was like my skin would burn and then peel. My husband had to clean out the bed every morning because there would be dead skin everywhere. For three months my life consisted of walking from the bed to the couch. Then the rash went to my head and I lost most of my hair. (you don’t know how vain you are until you lose your hair!) My husband was calling relatives and telling them that they should come and visit if they wanted to see me again. He called my daughter and told her I wasn’t going to make it. I was really not doing well. In May of 2017 I had two things change in my life. First, my friend, Traci Brosman, was working for a company that had actually developed a probiotic (MegaSporeBiotic) that gets through the stomach and populates the good bacteria in the intestines. She suggested that I try the probiotic. I was very hesitant because at that time I did not think a probiotic would have anything to do with my skin. However, Traci was insistent so I began taking the probiotic. And amazingly, my rash cleared up for the entire summer. In August, I thought I was so smart I attributed the healing to my diet and I discontinued taking the probiotic and began using a less expensive probiotic. By the end of September the rash was back, by the end of October the rash was worse than it had ever been, I was talking with Traci on the phone and I mentioned the rash. She said, “You aren’t taking the probiotic are you?” and of course I wasn’t. She sent me more of her company’s probiotic and within a week I began improving and am now vibrantly healthy. 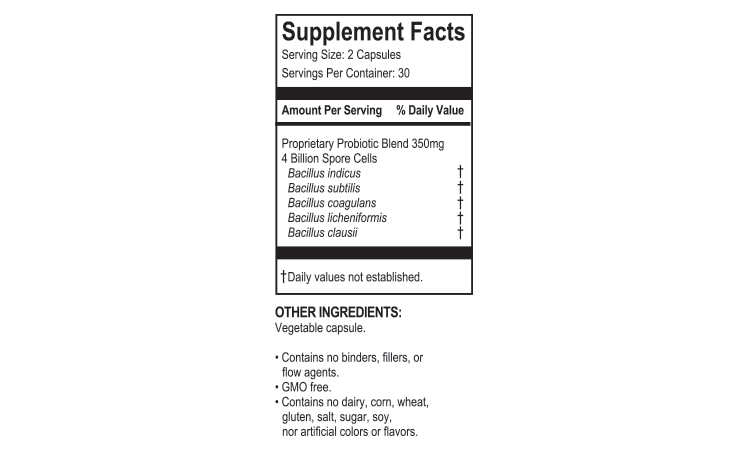 For many years I tried any new probiotic I saw to try to solve my long-standing gut issues. Sometimes one would seem to work for a few months but nothing more than that. So I started MSB without much hope. After 2 weeks I noticed an improvement in my constipation/diarrhea. This improvement has continued for 4 months. In addition the chronic laryngeal GERD (not heartburn), that I have had for years has cleared up–80% improvement. That took about 2 months. Just to make clear I have made no dietary changes–already gluten and diary free. Eat very little sugar in all its disguises. Have had gut issues for several years. Tried many probiotics with no change. Started MegaSporeBiotic and noticed improvement within 1 1/2 weeks. And has almost cleared GERD I’ve had for years—took a month for that and am glad it’s gone. As a Nutritional Therapist and GAPS Practitioner with special focus on advanced digestive health issues, I have been using the MEGASPORE since its release several years ago. I find it very beneficial for my clients. It is a professional grade probiotic and thus, I find that it is best for me to give specific dosing per client during the first few weeks of introducing it. This is just a sign of a great therapeutic probiotic. I also regularly recommend the HU58 and RestorFlora as well. I select the particular probiotic that best suits my client at that time and am grateful that I can count on Microbiome Labs for supplying a quality, well-tested, high efficacy line of probiotics. 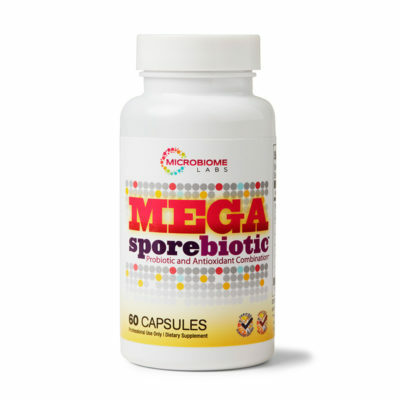 Megaspore provides an avenue for reclaiming gut health never before found in a probiotic supplement. Its in a class of its own. 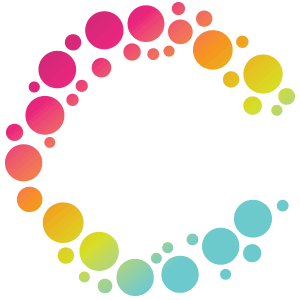 I am grateful to have Megaspore as a tool professionally and personally. It’s a necessary game changer. My daughter who turned 3 in March always had perfect bowel function until she received her MMR vaccine at 14 months. Then, about 5 months later, she had a bad bout with gastroenteritis. She never had a solid stool again. Her diapers were filled with foul smelling soft mushy stools containing undigested food and nothing that worked for my patients worked on her. I learned about GI-MAP in Dec 2017 and she was the first patient I ordered it on. It showed multiple infections including EHEC and Salmonella. I started a couple products from DesBio and finally started to see improvement. Then I learned about MegaSporeBiotic and added that in March 2018. Within 1-2 weeks her stools began to be formed. She started to grow and has gained at least 4 pounds since December. Her sugar cravings have decreased. She also potty trained (I believe she would have potty trained earlier if it wasn’t for the stool problem). She does not always take supplements easily but has never made a fuss about taking MegaSporeBiotic! Our office LOVES this product. We can’t keep it on the shelve. We use the product ourselves and our patients are excited to try it. It has GREAT science behind it. We are always learning something new when we listen to Kiran talk about the products. We look forward to helping our patients with some of their chronic issues as well as continuing to help ourselves. In a world where every supplement sold professes to be “the best ever,” Megaspore antioxidant probiotic has the right to make this claim. The needs of my patients are so individual yet the product repeatedly addresses their individual needs. I do not believe in the pharmacology mantra that there is a pill for every problem. I always recommend foremost that my patients use a whole foods plant-based approach, but the reality is that we live in a very toxic and stressful world. We need all the extra support we can get. Megaspore provides me the most powerful tools to help my patients adopt a gardening mentality to their health. The health of your inner garden determines your happiness and health more than anything else. In a world where we can’t control everything, we must control what we can. 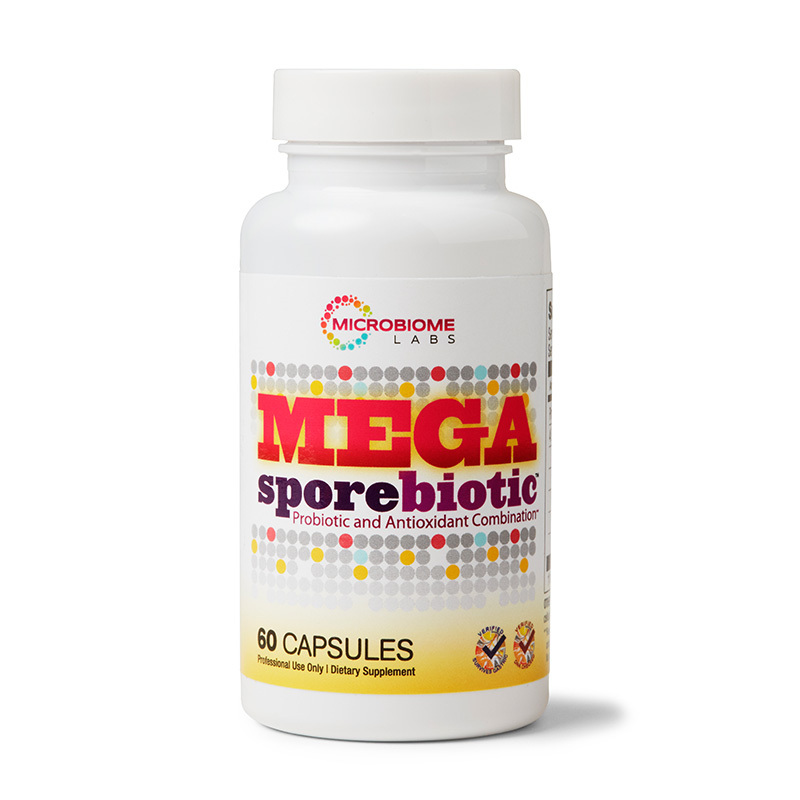 The concept and research behind MegaSpore was right on par with everything we know about probiotics. Having these transient bacteria set up a hospitable living environment rather than forcefully repopulating the area is essential to proper gut healing. So many people continually take “regular” probiotics, creating monocultures that often worsen symptoms overtime. MegaSpore is used cyclically with great success in our practice, and our patients love our unique approach to gut health! Thank you! As a practitioner and someone who also take this product, I can not say enough to fully relay how much of a game changer MegaSpore is! For myself I believe it has been a key (in concert with K2 and other approaches) to getting of my thyroid medication. As far as clients go, too many rave reviews to cover but several clients have been struggling with chronic gut issues and find this stuff either completely resolves the issue – often when all other approaches have failed – or at the very least it makes a marked improvement. Roughly 90% of people who buy it continue to buy it, which says a lot. Extremely grateful to Microbiome Labs for this & your other fantastic products! 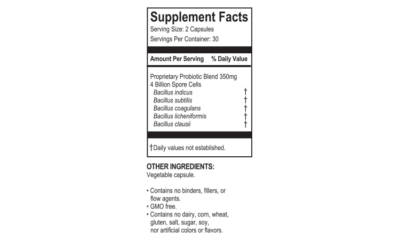 Thank you for your feedback on MegaSporeBiotic. It’s always great to hear results when health issues are resolved and medications are no longer needed. We appreciate your insight and information. Still using with different conditions with patients…the most exciting was an elderly patient with C-diff that no one could clear up, including Hospitalization…is doing much better! Thank you God and Microbiome Labs! One of my favorite probiotics ever. I recommend it to my patients with GI issues and for everyday usage. I also use it personally. Extremely effective! I have been using MegaSporeBiotics for more then a year! It helps with my digestion, immune support, energy levels! I do recommend these probiotics to all my friends, my clients and my family members! I don’t miss a day of taking MegaSporeBiotic. I have my whole family taking it. I have reversed Hashimoto’s and my daughter’s cystic acne is slowly clearing up. The best probiotic out there! The most effective probiotic I have ever used, both personally and professionally.